The Royal Borough of Greenwich is well known for its centuries old relation to the royal Family of Britain. It is internationally known for giving its name to the Prime Meridian, which goes precisely through its territory and the Royal Observatory that is currently an UNESCO World Heritage Site. Few people however think of Greenwich in terms of a place of residence, even though it clearly has everything needed to be one of the best areas to have a home in London. Abbey Wood for example, which is located right on the border between Greenwich and Bexley, present a great mix of urban and suburban character, which makes it a vibrant and yet pretty comfortable area. It is located on the place of one of the oldest hamlets in present day Greenwich, dating at least to the 12th century. The eponymous Abbey Wood is a Local Nature Reserve. Another really interesting case in East London is the borough of Havering. Located right on the Thames Gateway, the main part of the borough used to contain a bunch of industrial estates. Even today it is among the commercially most active parts of East London. According to the most recent statistics there are as many as 7000 businesses in and around Havering. As you can imagine, Havering offers more employment opportunities than most other places in London. Furthermore there are a few fine places to live here, such as the comfortable suburban development known as Emerson Park, which is located in the north eastern corner of the Greater London territory. It has many features of the 19th century suburb, which is quite normal, considering that was the time when Emerson Park began to develop thanks to the arrival of the railway. By the way, many places in East London appeared on the map thanks to the train system, which drastically changed the map of London and the future development of the capital. 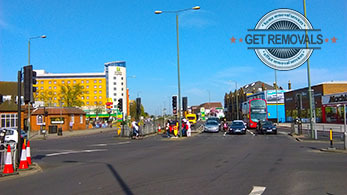 Even though Redbridge is located more or less on the outskirts of London, it is traditionally considered to be part both of East and of North London, which means that the borough falls into the historical trend of North London being better developed than the South in terms of communications, living conditions and shopping. As one might expect, Redbridge is the most thriving shopping centre outside Inner London, and those historical and cultural reasons can easily be cited as leading factors in that trend. This is particularly true for the Ilford post town. One of the most thriving settlements here, and rather appealing one thanks to its excellently developed suburban character, is Seven Kings. Contrary to what one might suspect at first, the name Seven Kings actually means “‘settlement of the family or followers of a man called Seofoca’ in its old English version. It has been recorded for the first time in 1285. It is known as being a desirable area of residence, as well as its fine open green spaces at Seven Kings Park and Westwood Park. Another reason people love Seven Kings is for its great schools – Palmer Catholic Academy, Seven Kings High School and Mayfield High School. We can talk about Tower Hamlets quite a lot. The borough, which is located quite near Central London has been playing a vital part of life in the capital for centuries. The former East India Docks were located here, in the modern day financial district of Canary Wharf, which means that for well over two centuries Tower Hamlets has been of utmost economical importance for Britain. In addition to its clearly commercial value for London, Tower Hamlets should be noted for being a rather fine place to live in the city. After all, as we have already said, it has a rather fine location, which mixed with the qualities of the residential areas here makes it one of the best choices for buying a home at – if you can afford it. Whitechapel for example has been for a long time a highly esteem neighborhood, which was once a cultural centre for East London. It has been described in literature by Charles Dickens, William Gibson and Sir Arthur Conan Doyle among many others. Whitechapel is often connected with a grim part of the history of London as well – it is the place where Jack the Reaper operated in the end of the 19th century. 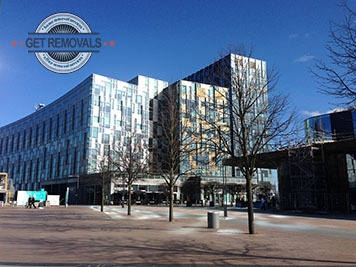 The London Borough of Barking and Dagenham is another East London area that is deservingly considered to be great. Right on the Riverside Section within the boundaries of the Thames Gateway, it is a place everyone has set an eye on because it was recently marked for regeneration. This means that even though property prices here are still below the average high for London, they are set to become higher and higher – alongside the gentrification of the area. Currently well over 180 000 people live in Barking and Dagenham, but the majority of those residents are concentrated in the famous Becontree estate. The estate was built in the 1930s and as of today it contains well over 27 000 homes for the workers of the Ford Dagenham factories and others. Becontree is however not simply a bedroom town for workers in the local factories. The area has a well established tradition of brass bands, which are among the most popular feature of local culture. Most of the old bands were merged into the Becontree Brass Band in 1981. As one expect from such a place, the area is very well connected to shopping, administrative and entertainment hubs in Dagenham, and the rest of London as well via bus, rail etc.